Is the housing market glass half full – or half empty? As home prices rise and the inventory of available houses falls, many experts in and out of the industry see more encouraging signs of a long term recovery that provides a firm foundation for other areas of the economy, too. But a growing number of market watchers read those numbers in a far more pessimistic way – as indicators of another looming collapse that could undermine the health of the economy as a whole. 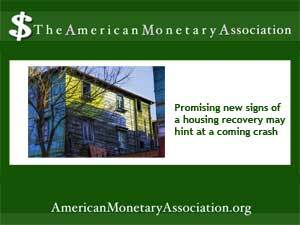 But according to a recent Reuters report on the recovery, the number of housing purchase contracts fell in July 2013 for the second straight month — numbers which, along with the quick rise in home prices, lead some industry professionals to claim that the housing market is facing not just a slowdown, but also the possibility of another full blown collapse.